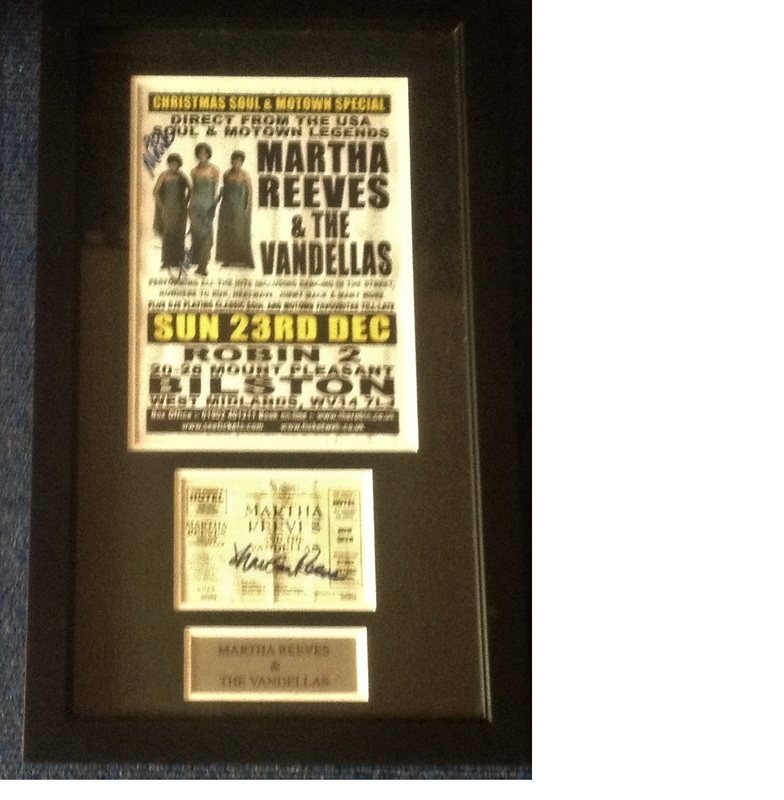 Martha Reeves and the Vandellas signed poster and concert ticket autographed back stage at one of the gigs in Bilston on the night 23/12/12. Framed to Overall size 61 x 31cm. Good Condition. All signed pieces come with a Certificate of Authenticity. We combine postage on multiple winning lots and can ship worldwide. UK postage from £3.99, EU from £5.99, Rest of World from £7.99.